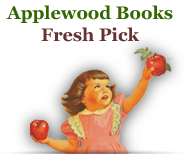 * Charming rhymes and colorful illustrations * A fun and funny story of lobsters doing all kinds of unexpected things, like drinking milkshakes, riding motorcycles, speaking Swedish, and, oh yes, riding seesaws * People up and down both coasts (and in other places too) LOVE lobsters! * This is the seventh winning children's book from the team of Shankman & O'Neill * Other titles in the series include "The Boston Balloonies," "The Cods of Cape Cod," "I Met A Moose in Maine One Day," "Champ and Me by the Maple Tree," "The Bourbon Street Band is Back," and "My Grandma Lives in Florida." 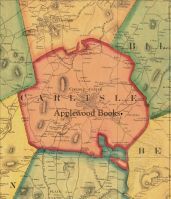 Author Ed Shankman and illustrator Dave O'Neill began creating their award-winning children's books in New England, with stories on Boston, Cape Cod, Maine, and Vermont. In 2011 they turned their attention to New Orleans and in 2013 to the state of Florida. 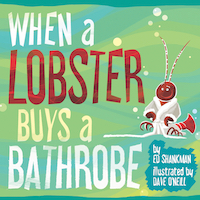 Their latest book, When a Lobster Buys a Bathrobe, does not happen in just one place, but wherever lobsters are found — and that’s almost everywhere Shankman & O’Neill have traveled before...and beyond! With its bouncing rhymes and colorful illustrations, everyone will love reading this charming story again and again!